Nocturnal waves the rainbow flag this month in celebration and appreciation of our vibrant queer culture with a riotous party to officially kick off the long-awaited summer nights. Always striving to be diverse and inclusive, December Nocturnal explores issues around gender and identity, backed by the sizzling sounds of an electrifying line up that is certain to bring some serious heat to the dance floor. With our disco ball mounted and ready to swing, what better way to welcome summer than with Sunshine & Disco Faith Choir. The brainchild of renowned Melbourne based DJ Sunshine, who brings gospel house/techno sounds backed by a live 15-piece choir, this genre-blending outfit flips the usual DJ script into a live interactive extravaganza. Sunshine & Disco Faith Choir’s unique style of gospel house and techno is nothing short of a spiritual experience. 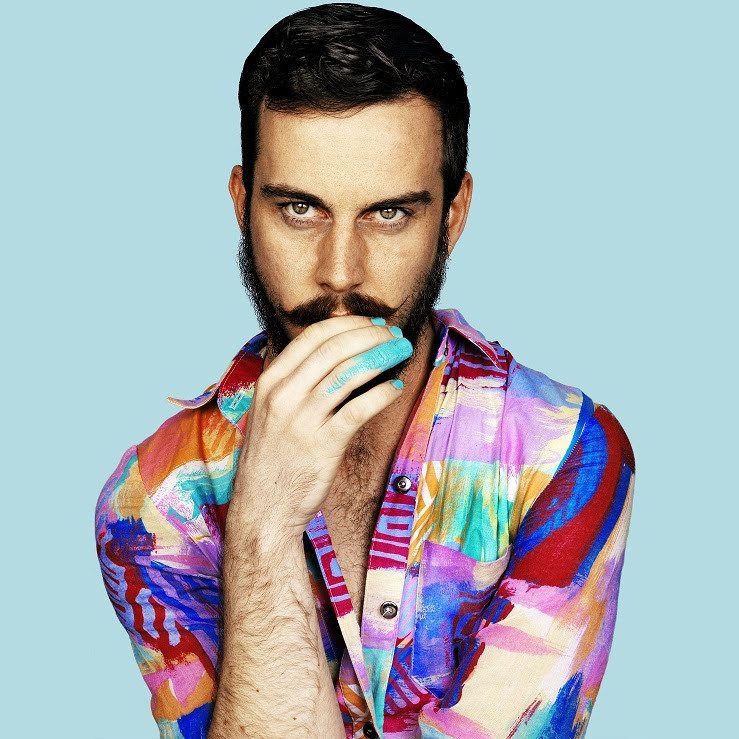 Brendan Maclean is a multifaceted, multitalented, multitasking musician and then some. With recent release Hibernia, Maclean showcases a natural pop lyricism over a dynamic arrangement, boasting tight guitar hooks and throbbing electronic bassline amongst a high energy full-band aesthetic that is impossible not to move to. Whiskey Houston is a dance floor authority. Her distinctive sound is born from a long-standing love of disco in all its incarnations and is marked by an extensive knowledge and respect for its history and cultural roots. At the forefront of Australia’s queer dance scene, Houston’s refined command of the more soulful side of disco and house has seen her grace sound systems across the country and internationally throughout the past decade, and this month she brings her wildly energetic set to Melbourne Museum. Brooke Powers has carved out a name for herself in the Melbourne clubbing landscape, bringing an unmistakably idiosyncratic vibe with every performance. Brooke’s sets are a reflection of herself – energetic, unpredictable, passionate, and honest – taking inspiration from queerness and feminism, she digs deep into the lineage of dance music to blend genres and emotions across decades of club music to take you on a journey. Dandrogyny is a non-binary performance hybrid who blatantly defies gender norms while mirroring the ways in which we define our personal identities. A defiant, charismatic, subversive, homo-erratic party favourite, Dandrogyny catwalks the fine-eyeline of the pop cultural and political, leaving a neon trail of desire on every dance-floor. Come early to get amoungst thier ever evolving revolving performace. Melbourne Museum will present floor talks and collection items on Gender, Identity, and Queer Culture at this special Nocturnal event. Talking on the floor will not just be the regular museum experts, but also more broadly LGBTIQA+ members of staff and allies. Museums Victoria recognises the importance of celebrating and elevating LGBTIQA+ lived experience and has strongly encouraged contributions from staff who identify with the following communities: Aboriginal or Torres Strait Islander, queer people of colour, trans and gender diverse, intersex, disability and invisible groups in the community. In between sets, take a spin around the Museum, have a dalliance with a dino in Dinosaur Walk, say g’day to Phar Lap in Melbourne Story, compare outfits with the peacock in WILD gallery, or seek knowledge from our First Peoples in Bunjilaka. And if you need just a little more glitter and sparkle to your evening, be sure to visit our newest exhibition Make Believe: The Story of the Myer Christmas Windows for a peek behind the glass of this famous festive tradition. Polish up your dancing shoes and dress to impress. Tickets on sale now. Featuring Sunshine & Disco Faith Choir, Brendan Maclean, Whiskey Houston, Brooke Powers and Dandrogyny. JAALA new album ‘Joonya Spirit’ out now!